1. 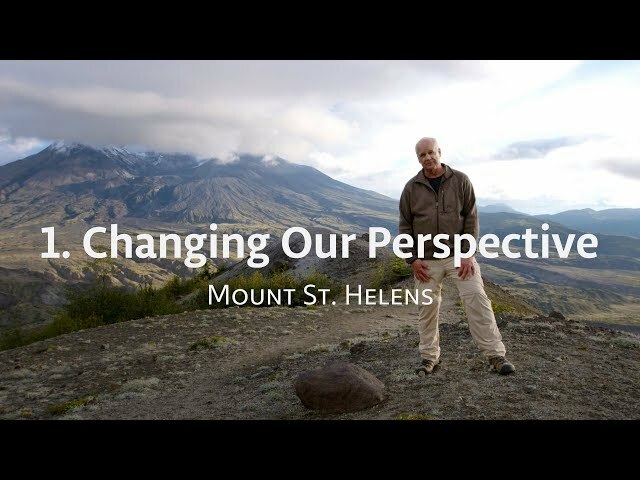 Changing Our Perspective - Is Genesis History? Many people look at the earth and assume uniform processes acted over long ages to form what we see around us. Yet Mount St. Helens reveals how major catastrophes can quickly create geological formations. It also shows how eyewitness accounts are necessary to understand what happened in the past. The book of Genesis lays out a clear history of the earth, although many people do not accept it as an accurate witness. Is it truly history? Watch a 20 minute video from Dr. Steve Austin on MSH and read the behind the scenes story of filming there. Next 2. What Do the Rocks Tell Us?